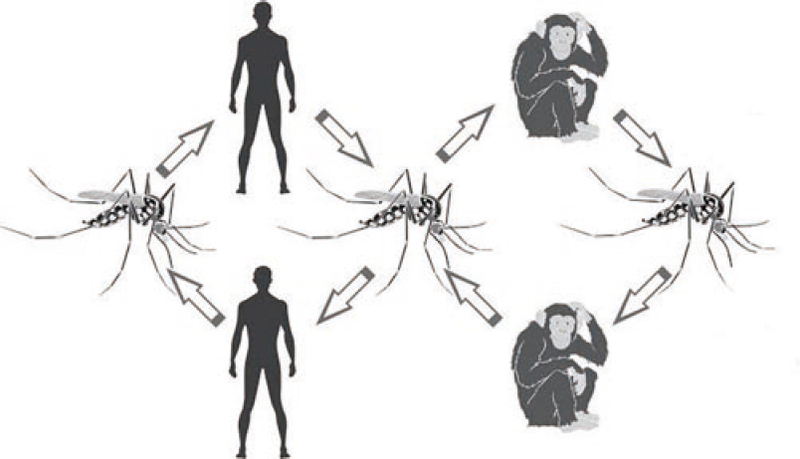 Figure 1: Sylvatic yellow fever cycle in humans and monkeys. Non-human primates are the main hosts. The virus is kept in the wild by transmission between monkeys and wild mosquitoes. Humans participate as an accidental host when contaminated mosquitoes with strictly sylvatic habits bite the human.